Many Christians are “bit-and-bridle” followers. They respond only to threats and obey because of fear of punishment. God says, “I want you to be corrected by a look from me.” Only those who love Him supremely and are watching for indications of His pleasure will recognize the loving glance of correction. Searching the Bible with one purpose—to discover what pleases Him—they will immediately obey the slightest revelation of His will. This is the essence of true Christianity—ordering every level of life in harmony with His revealed will, because of love. With this little background on how to make love the motivating factor in setting up Christian standards, we are now prepared to illustrate how the principle operates in practice. 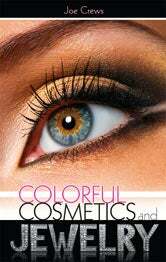 Although any one of the “conduct” standards of the church could be used, let us choose one that has evoked considerable complaint—colorful cosmetics and jewelry. Multitudes of sincere members have laid aside the use of these artificial adornments “because the church says so.” This is a poor reason for doing anything in the Christian life. Hopefully, after reading this chapter, the explanations about arbitrary church rules on the subject will give way to personal conviction based on loving and pleasing the Lord. Sometimes ministers are accused of making a big issue out of the wedding ring because they wait for the candidate to remove it before being baptized. Actually, experience has proven that the ring is not the problem at all. The ring is merely the symptom of a much more serious problem: the lack of full surrender. When the heart is yielded, and God is made first in the life, no convert will allow a little ring to stand in the way of uniting with the body of Christ by baptism. When love for Christ is stronger than love of self or husband or wife, then nothing will stand in the way, least of all a small metal ring. In this final chapter, we shall give consideration to another aspect of biblical evidence on this subject that some consider to be the most persuasive of all. It answers the objection raised by the few who are still unconvinced that jewelry is displeasing to God. In the most explicit manner, it demolishes the last stronghold of defense for even the wedding ring.